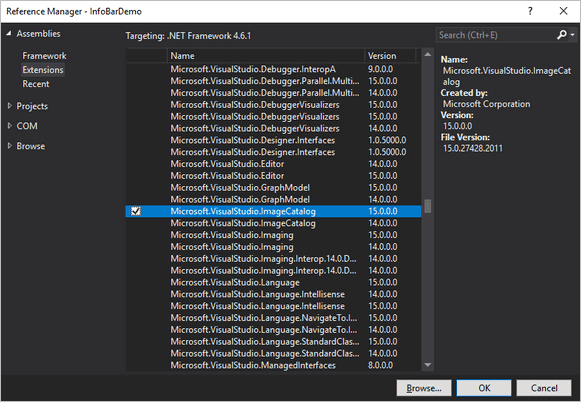 Wondering how Visual Studio displays important notifications on top of editor? Do you want to integrate notifications in your extension? 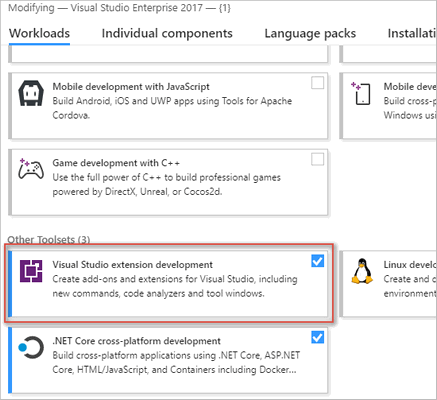 This is demo extension to show how we can show notifications on top of the Visual Studio editor in Visual Studio 2017 using Visual Studio SDK. Not only we will create the notification using InfoBar, but we will also see how to add actions so that user's can click and take action. 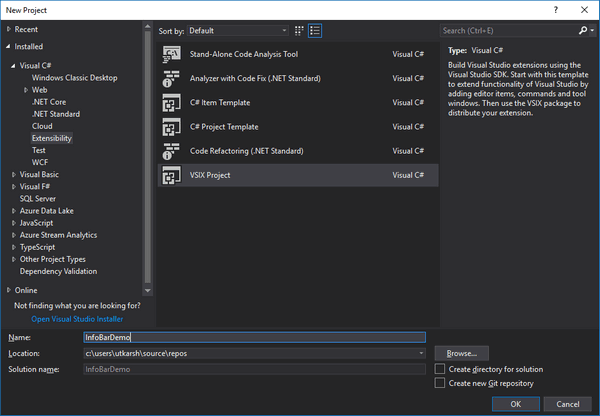 This will create a VSIX package (deployable extension when compiled) with the code to add a menu item to Tools menu in Visual Studio. Based on the command name you decided, it will add the menu item with that name. I selected Show Notification as the command name so I got this when I run the extension by hitting `F5'. We will be separating out InfoBar related code in to its own class. I borrowed this idea from Microsoft's Mads Kristensen from one of his cool extensions in GitHub. Let's code to handle when user clicks on any of the options shown on the notification bar. We will also need to unsubscribe for the InfoBarEvents when the notification is closed. Although it is easy way to get the user's attention by displaying such notifications, Microsoft recommends some general Do's and Don'ts on using the InfoBar notifications. That's it! 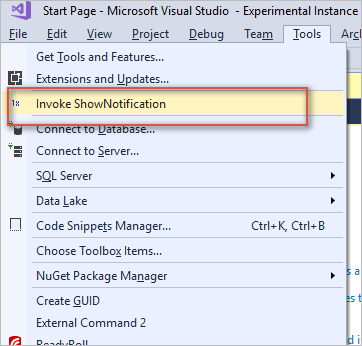 You now learnt a way to display notifications in the main window of the Visual Studio using the InfoBar. I hope you enjoyed this post! I have the complete sample on GitHub.